Before you panic and start yanking crayons out of your kids’ hands and burning their coloring books, you should know that this is a situation in which it’s simply better safe than sorry. The U.S. Public Interest Research Group (PIRG) does a study on school supply safety every year in which it looks for, among other things, toxic chemicals in products. This year’s study found the presence of a certain type of asbestos, tremolite fibers, in the 36-pack of Playskool crayons but it is not claiming there is an imminent risk of danger. Asbestos is primarily believed to be harmful when inhaled and is linked to respiratory issues like asbestosis, lung cancer, and mesothelioma. 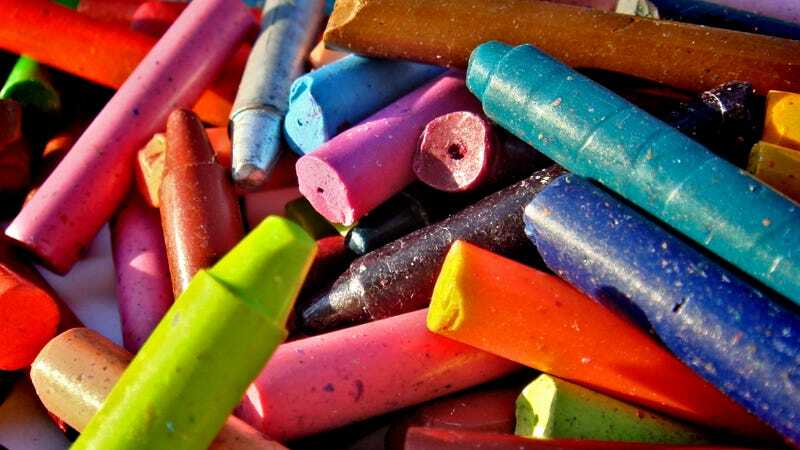 The risk of inhaling fibers flying off of crayon wax during vigorous coloring sessions seems low, but PIRG notes that kids are prone to eating crayons. The real point is we should do everything we can to keep toxic materials out of our products, especially the ones we give to kids. Leap Year told Gizmodo in an email that the specific color crayon PIRG tested for asbestos—the green one—was “thoroughly tested” but that the company is “re-verifying that they are safe” following the organization’s findings. It’s a timely reminder that asbestos can make its way into products it wasn’t intended for, and that the material is not illegal in the United States. According to the Washington Post, asbestos has been completely banned in at least 60 countries, but it is merely restricted in the states. The Trump administration is now working on loosening those restrictions and allowing it to be used in more products through a “significant new use rule.” President Trump himself has long opposed restrictions on asbestos, going as far as blaming the ban on asbestos in certain building materials for the deaths of victims at the World Trade Center.